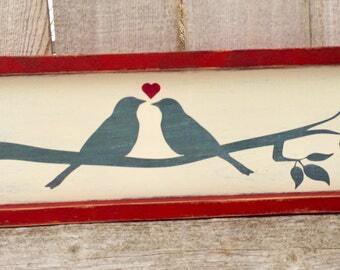 This is an absolutely adorable handmade wood sign for Spring and Easter decorating!! 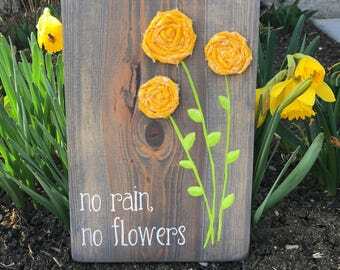 🌺 Wooden sign measures and comes ready to hang, prop or stands alone on any flat surface. ☀️ Background is painted a lovely blush pink with a Jacobean stained wood frame. 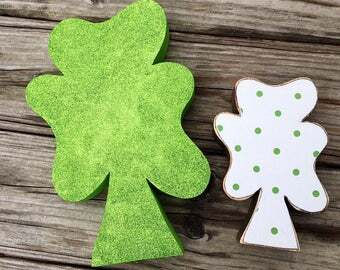 🌺 Bunny is hand cut from 1/4” pine, painted a creamy white and lightly distressed. 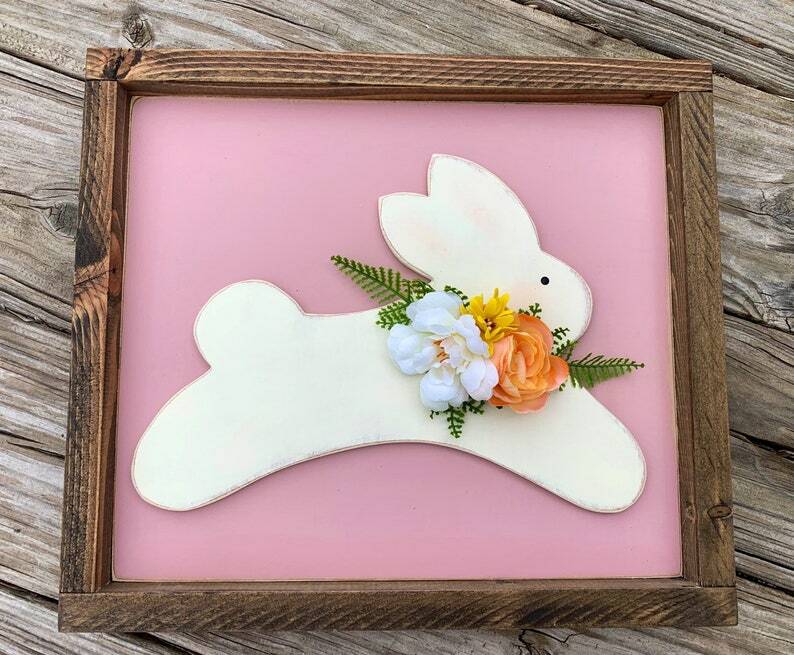 ☀️ Rabbit is finished with rosy cheeks and a painted eye, along with a beautiful arrangement of bright Spring leaves and greenery.